I was recently asked to list the current VMware certification offerings over on the Certforums website and decided that it can’t hurt to have them listed over here as well. VMware have a number of different exam \ certification paths open to individuals now, however initially they only offered a single certification and that was the VCP (VMware Certified Professional), over the years the certification offerings from VMware have grown to where we are currently. The following certifications are currently or will be shortly available from VMware, some of these courses have strict class requirements whereas some of them don’t. VCA4-DT – A recent addition to the VMware certification catalogue the VCA4-DT course is aimed at the Desktop virtualisation market space and is one of the certifications that don’t require attendance on a qualifying course, VMware do however have recommendations on suggested courses but these aren’t mandatory. VMware only currently offer the VCA4-DT track but it’s hoped that the VCA5-DT track will appear soon. VCP-DT – This is a relatively new certificate directed at Virtualisation Systems engineers who specialise in Desktop environments using VMware View and ThinApp technologies. This certification has a requirement that the person taking the exam is already a current VCP but apart from that no other qualifying course requirements. VMware currently offer two tracks for the VCP-DT, VCP4-DT and VCP5-DT. VCAP – The next step up in the VMware certification ladder, this is actually a set of two different exams, one related to design, the other to administration. The pre-requisite for sitting either of the VCAP exams is that you have to hold a current VCP certification. VMware are currently offering VCAP5 exams in Beta but it’s expected that these exams will be going live soon. VMware are also offering an upgrade path for current VCAP4-DCD to VCAP5-DCD where if you pass the VCAP5-DCD exam you will automatically gain the VCP5 certification. VCAP-DCD is directed towards IT Architects capable of designing VMware solutions in a multi-site, large enterprise environments. VCAP-DCA is directed towards System Administrators, Consultants and Tech Support Engineers who can demonstrate their skills in VMware vSphere and vCenter technologies in relationship to the datacentre. VCDX – The pinnacle of the VMware certification tree, this is highest level of VMware certification comprising of design architects highly skilled in VMware enterprise deployments. This certification is somewhat different in its approach to previous VMware certifications in that whilst it has qualifying certification requirements (VCP, VCAP-DCA and VCAP-DCD) it also requires you to defend a VMware vSphere design and implementation plan infront of a panel of VMware experts. To give you an idea of how difficult this is there are currently less than 100 VCDXs across the planet. 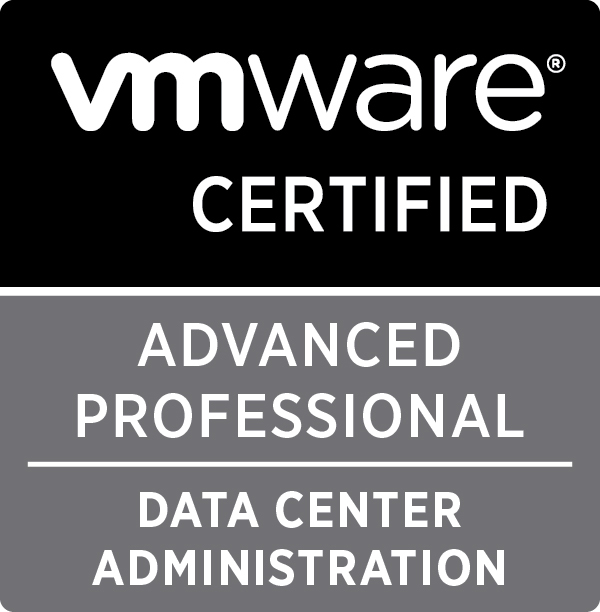 Current VCDX4 holders in good standing will be able to upgrade their certification to VCDX5 by successfully passing the VMware Certified Advanced Professional 5- Datacenter Design (VDCD510) exam. The VCAP5-DCD exam release date will be announced in May. Release of the VCAP5-DCD final exam blueprint will occur at that time. VMware also offer Partner Certifications in the form certifications and competency accreditations. The following are a list of those certification and accreditations. One word of warning, you do need to belong to a VMware Partner to be able to take the training and gain the certifications\accreditations. The following are the Partner Competencies available.